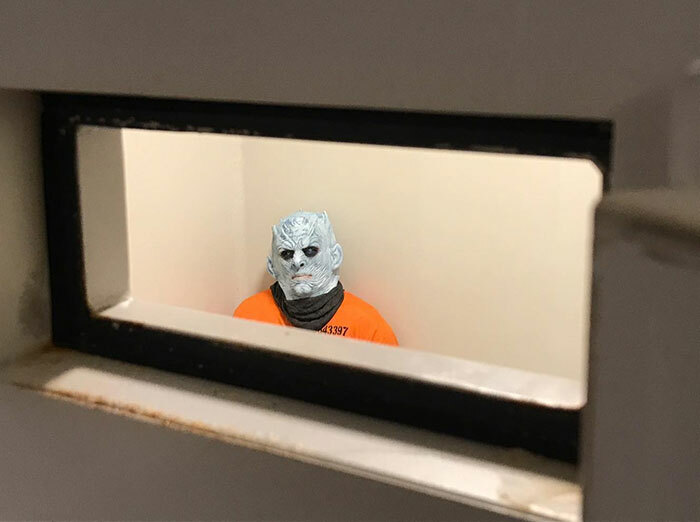 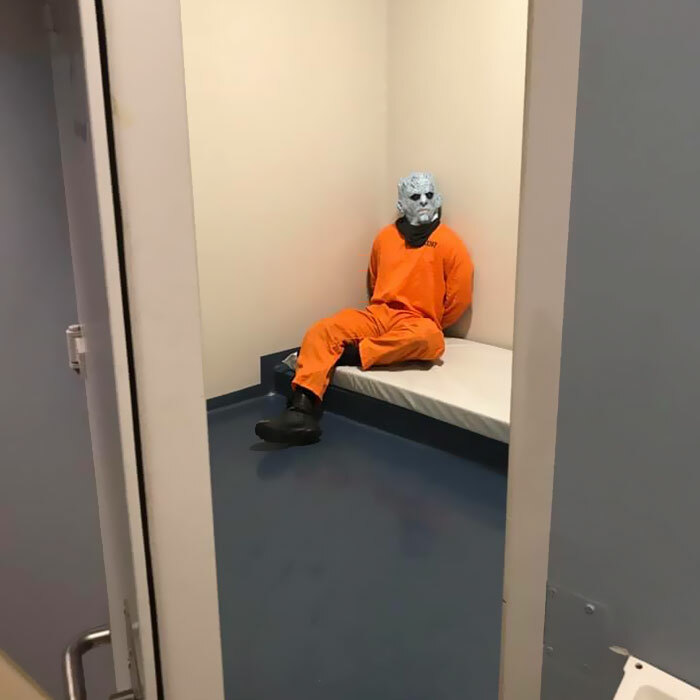 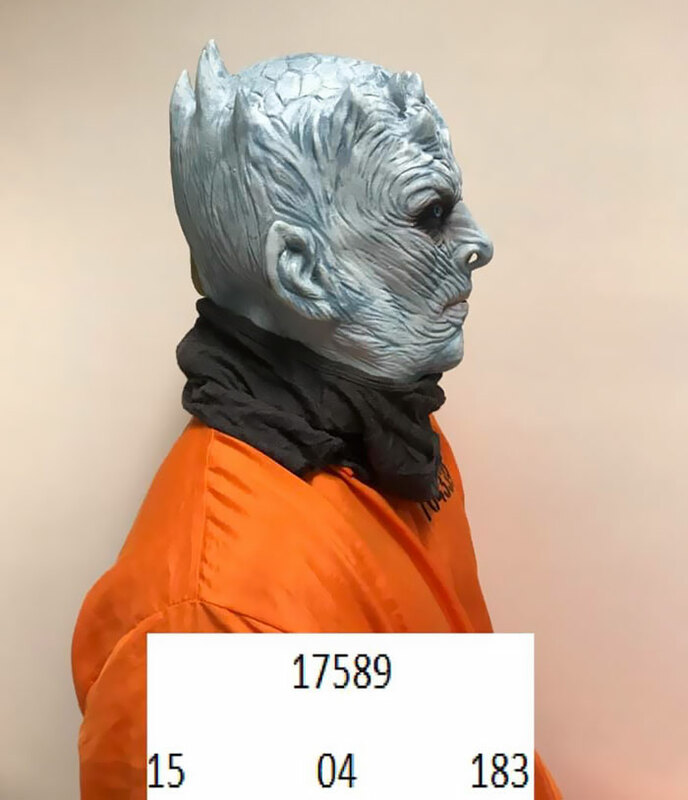 The photographs show the Night King handcuffed and sitting in a cell, as well as posing for his mugshots. 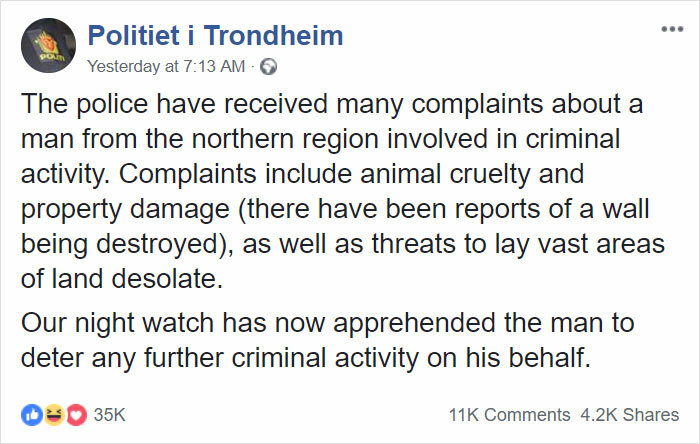 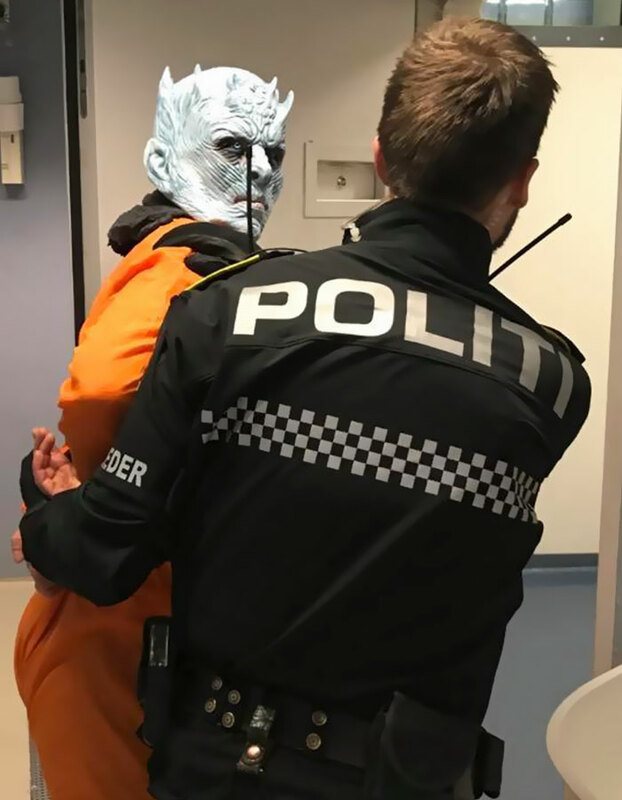 The Facebook post on Trondheim Police’s page details what kind of crimes got the White Walker apprehended. 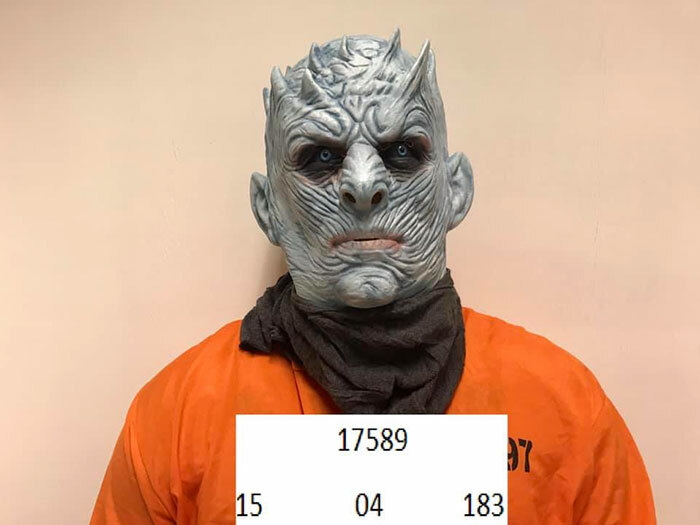 Misdeed like “animal cruelty” and “property damage” are listed under complaints, a reference to the infamous scenes from last season, where the Night King killed Dany’s dragon, reanimated him and used the newly-born ice dragon to destroy the Wall, an ancient 300-mile structure meant to protect the North from dangers beyond the wall, like wildlings and… well, ice zombies.